So Google+ has finally launched Google+ for businesses yesterday. We are seeing a lot of businesses adding their pages at the moment, but there is still doubt whether or not Google has rolled out a killing feature or that its just something which should have been there from the start. We have asked several people in the industry what their thoughts on the new feature are. Below you can find the second part of the responses we’ve had so far. These are all from Facebook. 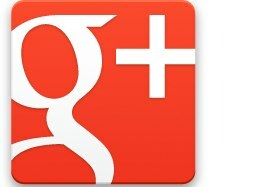 “From a business point of view, I think Google+ has definitely lacked this functionality. I believe that further improvements still need to be made – such as customisation and tracking – before it can be seen as a serious competitor to Facebook, but it is definitely a big step forward. Find more responses from the industry here, check out our very own Google+ Page and let us know: what do YOU think about the new Google+ Business Pages? I’ve been desperately trying to find use for Google+ but something about it just seems so sterile. As far as looking for breaking news, Twitter has my attention. For networking with professional colleagues, I prefer LinkedIn. For social connecting with friends and relatives, they’re on Facebook. I’ve already invested so much time in those three social networks that cover everything I’m looking for, it just seems like Google+ has nothing of interest for me. As for business use, all of my business comes from those other three social networks, so much that I don’t even bother with Google search or Adwords for finding new clients these days.